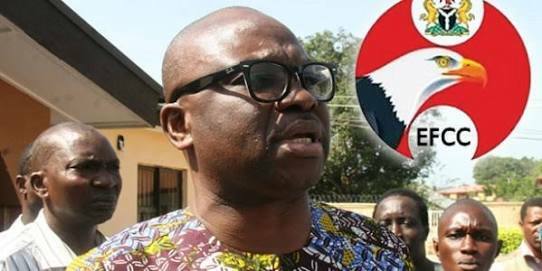 He took to his twitter account to reveal the letter he wrote to EFCC. Notwithstanding its demonstration of hate, prejudice, persecution and partiality,I again wrote the @officialEFCC today, that I will be available on October 16. 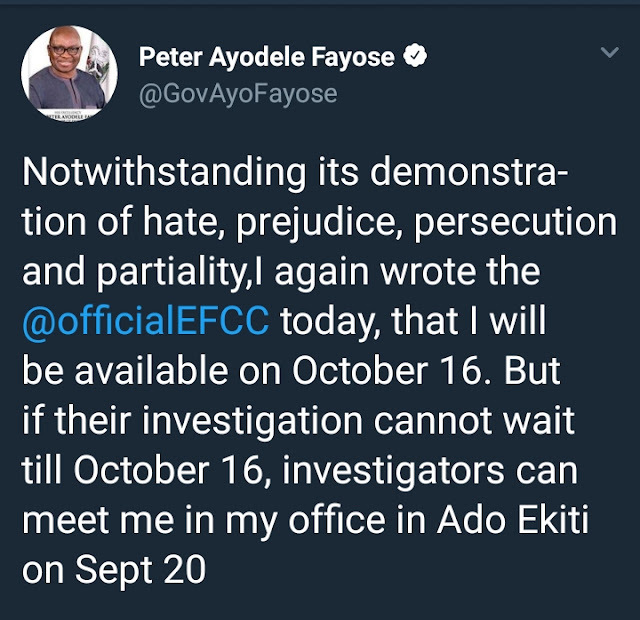 But if their investigation cannot wait till October 16, investigators can meet me in my office in Ado Ekiti on Sept 20.